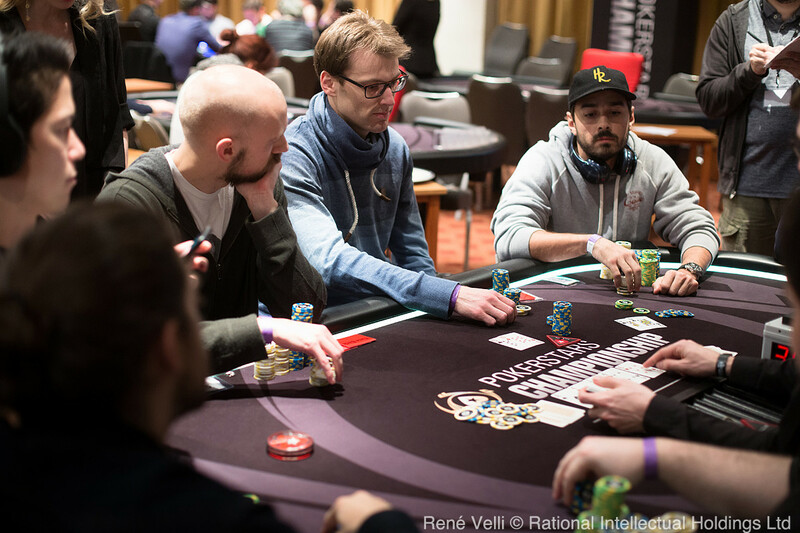 The second edition of the €25,500 Single-Day High Roller at the 2017 PokerStars Championship Prague festival once again attracted some of the biggest names of the high stakes tournaments at the luxurious Hilton Hotel Prague. Once the first eight levels were done and dusted and the registration had closed, the screens showed 40 unique players, who made an additional 12 reentries. The field of 52 entries surpassed the first event from two days ago and the top seven spots were guaranteed a portion of the €1,274,000 prize pool. Close to 1 a.m. local time it was Team PokerStars Pro Igor Kurganov who lifted the trophy after defeating JC Alvarado heads-up. 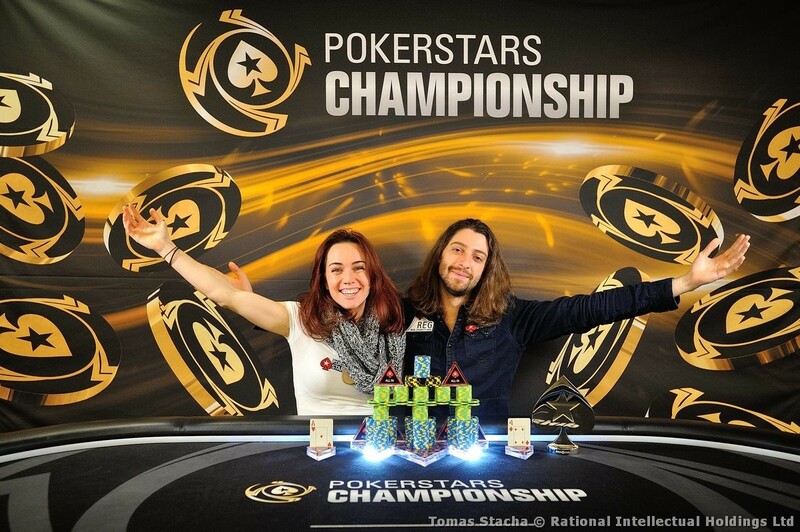 Both players cut a deal once the stacks were even in heads-up play and left the trophy and €50,000 up for grabs. 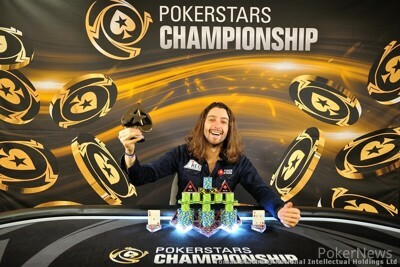 It took one hour to determine the champion and Kurganov was all smiles, claiming the second High Roller title in half a year in a PokerStars live event after signing his sponsorship deal in February 2017. The first place finish came with a payday of €371,250, boosting Kurganov's live cashes to more than $14.5 million, while Alvarado took home €319,750 for second. 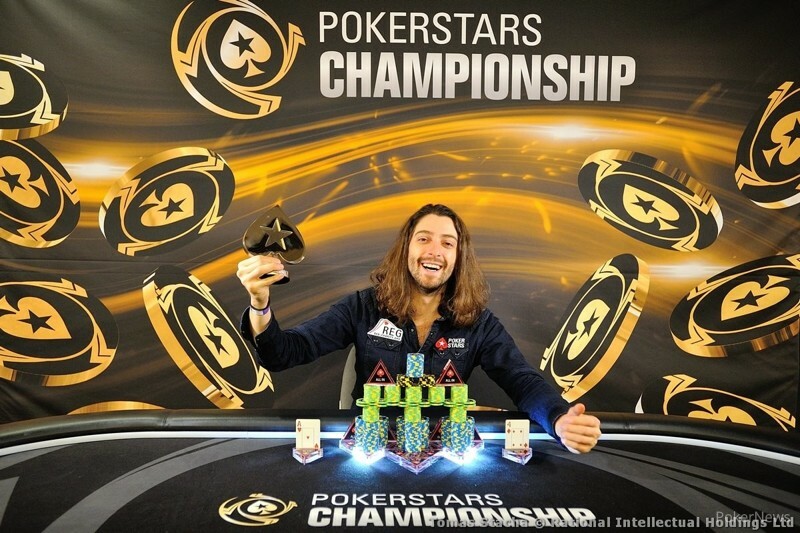 Christopher Kruk, who finished 6th in the PokerStars Championship Barcelona €50,000 Super High Roller in August, recorded his second-best result on the live poker circuit and finished in 3rd place for €185,000. The other players in the money include Stephen Chidwick (4th place - €140,000), Thomas Muehloecker (5th place - €108,000), Vladimir Troyanovskiy (6th place - €83,000) and Erik Seidel (7th place - €67,000). The action kicked off with a dozen players and that number soon grew to more than 20 by the time level two was underway. Bryn Kenney, who initially came up with the idea for this tournament format, was the first player to fall when his king-jack suited ended up second-best to the king-queen of Oleksii Khoroshenin on a king-high flop. Kenney bought himself back in and busted a second time soon after. Others who took two shots at the juicy prize pool and fell before the end of the registration period included Benjamin Pollak, Stefan Schillhabel and Koray Aldemir. Sam Greenwood and Sergi Reixach were among those to win a €25,500 Single-Day High Roller here in Prague in 2016, but this time their attempts proved unsuccessful. 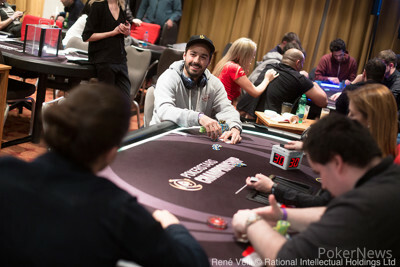 Albert Daher was also unable to repeat his victory from two days ago and exited before the last three tables were set. PokerStars Team Pro Igor Kurganov joined in the last possible level of registration and quickly doubled up before getting involved in a three-way all in. Kurganov's jacks faced the pocket queens of Orpen Kisacikoglu and the pocket sevens of David Peters. A crucial jack appeared on the flop and Kurganov jumped into a big stack. At the dinner break, only 14 players remained and among those to bust prior were Ivan Luca, Daniel Dvoress, Ole Schemion, Jean-Noel Thorel, Timothy Adams and Mustapha Kanit. Ryan Riess and Dietrich Fast were the two short stacks on the last two tables and both also busted shortly before heading out for dinner. The dinner break was followed up by a flurry of all-in showdowns and eight players were eliminated in 47 minutes to burst the money bubble burst and reduce the field to the last six hopefuls. JC Alvarado and Christopher Kruk dominated their tables and dispatched several opponents on their way. Xioyang Luo lost a flip with king-jack versus nines, Rocco Palumbo failed to get there with ace-five versus ace-jack and Kruk claimed the stacks of Conor Beresford and Kitson Kho in a matter of minutes. The final table was set with the elimination of Oleksii Khoroshenin, who lost a flip with ace-queen suited against the pocket nines of Stephen Chidwick. However, only eight players sat at the actual final table as John Juanda ended up second-best with ace-nine suited against the king-jack suited of JC Alvarado at almost the same time as Khoroshenin's bustout. Vladimir Troyanovskiy survived the money bubble, despite getting it in with nines versus queens, while Christoph Vogelsang attempted the same with pocket tens minutes later only to see Alvarado remain on top with black queens and burst the bubble. Erik Seidel, who sits in second place of the all-time money list for live poker events, racked up another score but had to settle for €67,000 when his pocket sevens were no match to the pocket jacks of Stephen Chidwick. Next to bust was Vladimir Troyanovskiy, who got it in ahead with ace-seven suited against the king-queen of JC Alvarado, and the latter spiked a king on the turn to reduce the field to the last five. After the elimination of Thomas Muehloecker in fifth place, Christopher Kruk held half of the chips in play. The Canadian looked up Muehloecker with pocket jacks versus ace-six and his top set on the flop improved to a flush on the river to send the Austrian crashing in fifth place. Igor Kurganov doubled twice through Christopher Kruk to jump into a comfortable lead and it was Stephen Chidwick that had to settle for fourth place. Down to fewer than ten big blinds, he three-bet all in with king-nine out of the small blind and Kurganov snap-called with pocket aces to leave Chidwick drawing dead on the turn. Christopher Kruk lost a flip with pocket fives to the king-queen of JC Alvarado to bow out in third, and in the first hand of heads-up play Alvarado and Kurganov evened out the stacks. The payers subsequently agreed to a deal and left the trophy and €50,000 up for grabs. It took one hour before Kurganov emerged victorious after he rivered a wheel against the top two pair of Alvarado. Both players were separated by a mere ante when the stacks were counted. The High Roller action here in Prague continues right away on Saturday, December 16th, with Day 1 of the €10,300 High Roller. 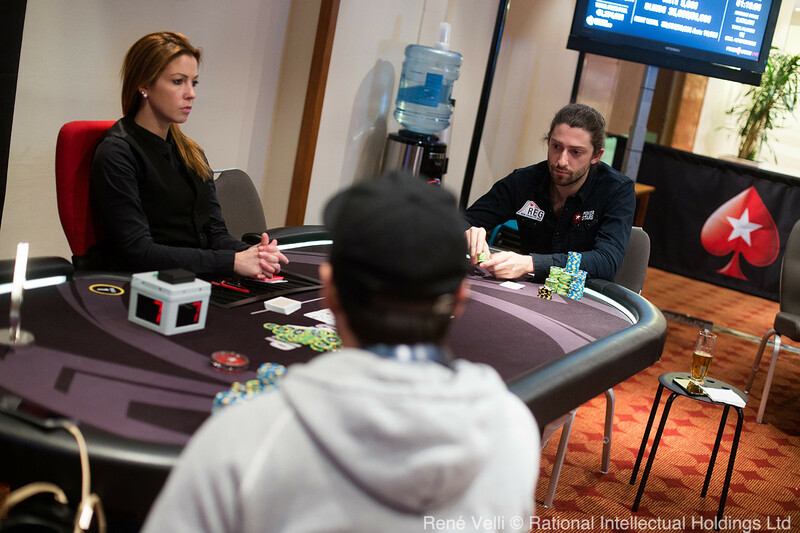 This three-day event starts at 12:30 p.m. local time and the PokerNews live reporting team will be right back on the floor to provide live updates from all the action here in Prague! Igor Kurganov raised to 135,000 and JC Alvarado called to see a flop of . Alvarado checked and subsequently check-raised from 100,000 to 250,000 in order to pick up a call by Kurganov. On the turn, Alvarado continued for 400,000 and Kurganov called before the fell on the river. Alvarado moved all in and Kurganov snap-called, turning over for a straight draw that got there. Alvarado had for top pair and the stacks were counted. Kurganov had 1.81 million and Alvarado was covered by one ante only to finish in second place. He takes home €319,750 for his efforts according to the deal, while Kurganov gets the trophy and €371,250 to show for. All pots remain small: Igor Kurganov picked up two pots with a three-bet preflop. The majority of postflop pots went to JC Alvarado to keep the players around even stacks. "Three Time Banks to Fold"
JC Alvarado raised to 130,000 and Igor Kurganov called to see a flop of . Both checked and Kurganov check-called a bet of 130,000 on the turn. After the river, the action went check, check, and Kurganov tabled as winning hand. Soon after it was again Alvarado that raised to 130,000, Kurganov called. The flop brought a check, a bet of 90,000 by Alvarado and a call. On the turn, Kurganov check-called another bet of 325,000 before checking the river. Alvarado emptied the clip and bet 1.0 million. Kurganov was sent in the think tank and eventually used all of his three remaining time bank chips. That led to a fold and Kurganov laughed. "Three time banks to fold ... pocket fours, no spade," he added while Alvarado dragged in the pot to even out the stacks once more. Igor Kurganov is back on top after dragging a decent-sized pot from JC Alvarado. Alvarado bet the turn on , then check-called a 440,000 bet from Kurganov on the river. Kurganov showed for trip eights and regained the lead. Igor Kurganov raised to 115,000 and JC Alvarado three-bet to 380,000, which Kurganov called. On the flop, Alvarado quickly continued for 260,000 and Kurganov folded. Alvarado made it 115,000 to go and Kurganov called. The flop was checked and Kurganov check-called a bet of 115,000 on the turn. Both checked the river and Kurganov tabled as winning hand, while Alvarado mucked the . Despite the deal, there's still much to play for and both players are keeping the pots small thus far. JC Alvarado has grabbed a slight lead in the early stages, winning the majority of small pots. With near identical stack sizes, it may take a while until the champion will be determined. On top of the €50,000 to first, the trophy is also still up for grabs. Heads-up play will recommence shortly.